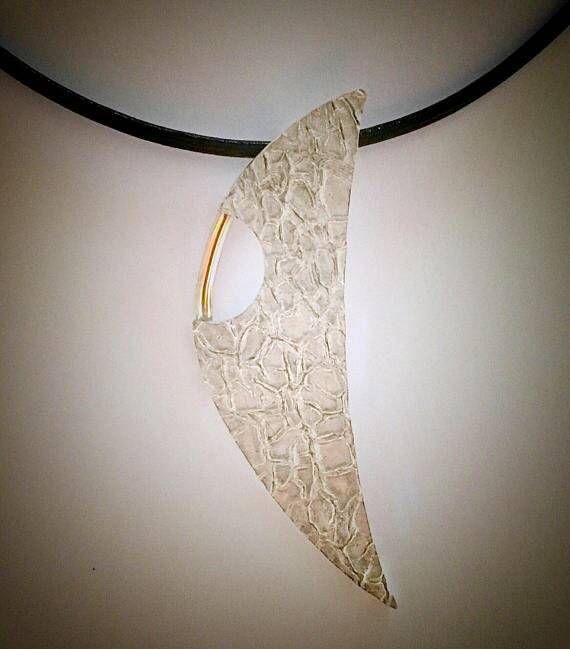 Modern necklace features crescent-shaped textured Sterling Silver embellished with 14K gold-fill. Pendant measures approx. 2 1/2” in length, and is suspended from an 18” black leather neckcord with 14k gold-fill clasp.